When going to Germany for your studies, be sure you will grab at least two valuable things with you: knowledge from top-ranked universities of the world, and hands-on real-life experiences from its many notable research institutions and libraries that offer rare books and pearls of generations! The capital of the Bavarian known as the “Home of the Monks” praises for its beauty composed of traditional architecture of the medieval and royal past with impressive, dreamy, fairytale-like buildings and masterpieces of the Baroque and Rococo styles. Munich’s fabulous calmness conjointly with its mesmerizing and profoundly old view is known to grasp you and make you lose track of time. Unfortunately, many of the beautiful old buildings have been destroyed during the World War II, but their restoration continues to keep the electrifying feeling of antiquity alive in the city. Beyond that, its famous museums give you flutters when exploring the ancient artifacts and gems together with their unfolding stories. Its economic development goes back in history when Munich used to be a significant marketplace while later on it continued with manufacturing precision instruments, optical and electrical appliances, aerospace and many other high-technology products as well as food, cosmetics, and clothing too. So, despite its ancient grip, Munich walked with the new, blending with the modern touch, which is notable in the many exhibitions, and other mind-expanding fairs and happenings. Book publishing and printing is another aspect important to Munich and slowly it has become a center of banking and financial industry. Not only the man-made buildings and inspiring views are important; the natural richness of the landscape contributes to making it even more pleasant. When in need for critical thinking: the Isar River, its parks and the visibility of the mountain ridges of the Alps – do wonders for you! Although, the third biggest city in Germany, you can still cover Munich by foot or better yet, bike. So, Munich your way in and surrendered in this beauty whole-heartedly! Its universities are ranked among the world’s top-universities, as well as winners of “University of Excellence” awards, held annually in Germany. What makes studying in Munich even more attractive is the luxury of being offered free studies for all students coming to harvest knowledge as well as the possibility to attend English-taught classes. 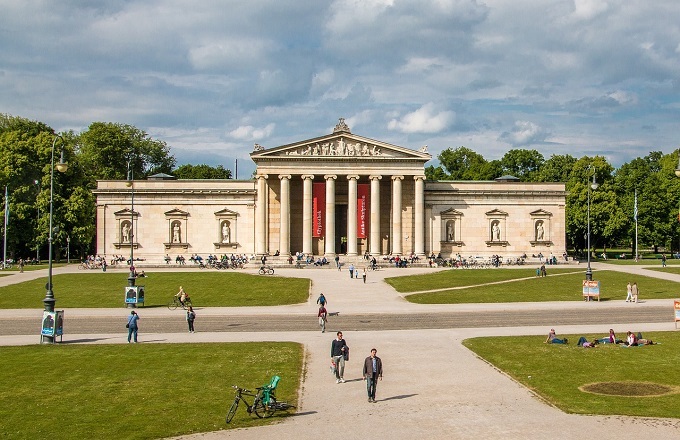 The University of Munich (Ludwig Maximilian University) offers 18 faculties covering a wide and a differentiated array of courses with as many as 150 subjects ranging from the Humanities and Cultural Sciences, Law, Economics, Social studies, Medicine and others. 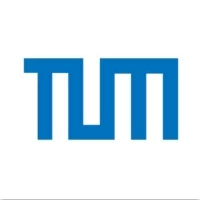 At the Technical University of Munich you will find 13 faculties covering Maths and the Natural Sciences, Engineering and Architecture, Medicine, Life Sciences, Health Sciences, and Economics among others. Munich University of Applied Science offers subjects like Technology, Design, Civil Engineering, Mechanical, Automotive and Aeronautical Engineering, Geoinformatics among its 14 departments. How to Apply for a Masters in Germany? Munich being the largest city in Germany, surprisingly still withholds the unique community feel of a village therefore some people refer to Munich as the “village with a million citizens”. Where one expects to find skyscrapers and multimillionaire companies, you’ll see cobbled alleyways and open plan outdoor seating where residents can spend an afternoon sipping a beer. Munich is an optimal city to study a postgraduate course. It’s a safe, clean and multi-cultural city and most importantly it can be found in the list of the top ten best cities to live in. There are lots of opportunities to study a graduate program in Munich, with several universities and colleges of further education. Munich is a leading world location for science and research. Munich is also home to a number of other research institutes among which the Max Planck Society, its headquarters localized in the city. Graduate programs in Munich normally last for two years meanwhile the research programs and PhDs take up to three years to comprehend. Although international degrees are taught in English, many postgraduate courses are also taught in German. As such, you may have to take the German Language University Entrance Examination (DSH) to check your language suitability. The many reasons to study in Munich are quite incredible and certain to leave you impressed. Whether you’re looking to earn an undergraduate or a graduate-level degree, the many choices in colleges and universities in the city are sure to impress you. Every single year there are thousands of people who travel to Munich for their studies. They arrive in the city with high expectations that are always met in abundance, thanks to the top-notch universities found throughout the city. Munich colleges and universities are known for their high standards of excellence in teaching, and attending any of the institutes of higher learning assures that you are getting the best possible education. All of the schools offer the latest in technology and functionality, with special attention to Engineering, Medicine, Science and Economics among the most popularly chosen courses and majors in the country. The cost of studying at a university in Munich is another reason to attend a college in the city as it is considerably lower than the costs of attending universities in other countries. Additionally, scholarships, grants and other forms of aid are also available to students pursuing their education. 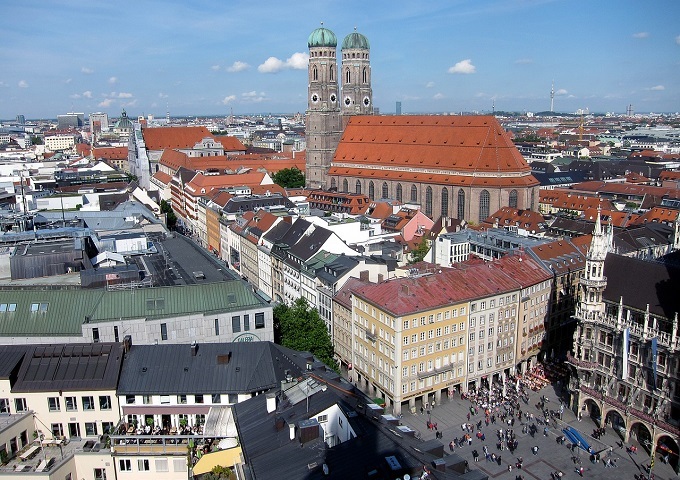 Of course, the chance to experience Munich is yet another reason to study in the German city. While living in Munich you can attend university day or night, and spend your free hours exploring the magnificent city. There’s plenty to do so boredom is never something that you will experience. You will learn plenty about the culture of Munich, as well as Germany in general, as well as experience the richness first hand for yourself. Chances are high that you will also learn the German language, even if it is not what you came here for. How nice will it be to arrive back in your country with this new language under your belt? Speaking to family and friends in German will certainly leave them very impressed! The cost of living in Munich is more than reasonable. You can choose to work full or part-time as you attend university in the city, and with this choice you can expect to be able to save a great amount of money. Rent costs in Munich are very low; especially when you opt for university housing that is available. Also, utilities and other similar things are reasonably priced in Munich. If you are a student attending a college or university in Munich, carrying on a job may be something that you wish to do. Having a job, whether it is a full-time or a part-time gig, can make it easier to afford the costs of living in the city. There are many well-known employers in Munich and there are also the not-so-well-known. There are a number of industries available, although most students in Germany choose to work in retail or catering. It is entirely up to you if you will take a job while you are studying in Munich. Students coming into Munich from other countries have full opportunities to work while they are studying in the city with very few limitations and restrictions. However, those who are not citizens of Europe are restricted to working for 180 days during the school year. This is often done during summer breaks and on the weekends. As long as you abide by these rules you should have no problems whatsoever. Be sure to have a CV on hand to apply for the jobs, and, of course, wait until you’ve arrived in the city to apply. Most employers will want you to come in for an in-person interview, and you can’t do this if you are thousands of miles away. It should not be very difficult to find employment so this should not be of too much concern to you. 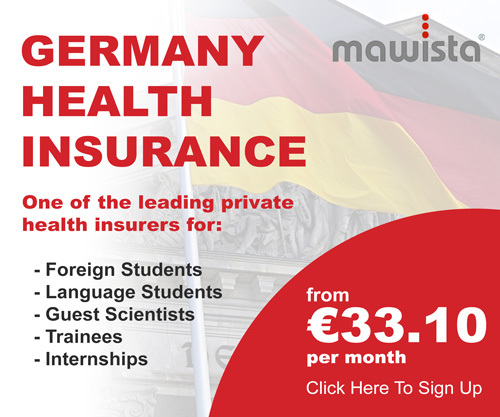 If you are coming to Munich and already have a degree, finding a job is something that will be even easier to do. There are a lot of opportunities available for skilled individuals in the city in a wide range of fields. To apply for these you will need to have an up-to-date CV available. Generally, Germany is not an expensive country and Munich as the third largest city in Germany attracted a large number of students who would surely like to know the price variations if the city prior to arrival. You will find listed the prices of most important or required components. [Tip: Working students in Munich are also very well paid.] Besides, there are a lot of sights to see and things to do for free! A nice meal in an inexpensive restaurant will cost you 10€, if too tired to stay in and cook for yourself, or you simply want to treat yourself. A three-course meal for two in a mid-range restaurant will cost you around 50€, so spare this amount of money when in the mood for treating the special someone you keep thinking about. A 0.5l local draught beer at a nice bar for a fun night-out with friends will cost you 3.5€. However, you will pay the same for a 0.33l imported bottled beer. A morning coffee before class will be around 2.70€ in most places, if accompanied by a 0.33l bottled water then add another 2.15€ to that. If you want to stay and cook in, your meals will cost you less than going out, although you might need to give it a little more time for preparation. If you are a smoker, your monthly expenses may increase as 1 pack of Marlboro costs 5.50€. If you don’t mind sharing your living space with your mates, it might be a cheaper way of getting along where the total price for a 3-bedroom apartment in the city center comes across 1900-2000€. Meanwhile, for the same 3-bedroom apartment outside the city center, you may pay 1460-1500€. Utilities (electricity, heating, water, garbage) cost around 250€ monthly. If a requirement, you may pay 23€ for 10 Mbps of internet in a month. The monthly pass for public transportation is 64€, while a one-way ticket costs 2.70€. Membership and monthly payment at a fitness club costs around 37€. When on free time, as a recreational activity you may go out to the cinema and watch an international movie for 10€ a ticket. As far as clothing, you can find many chain stores like Zara, H&M which have somewhat cheaper, but nice clothes and the prices vary from 20-50€, whereas, for high-labelled clothes you may spend over 100€ a pair. If you are going to live in Munich it is necessary that you have a place to live! Munich has a variety of housing options available, including housing available only for students, at reduced rates. It is a good idea to look at your options before making a selection. Many students in Munich choose to utilize a roommate-housing environment. This reduces the rent amount greatly, and also helps you feel acquainted with someone when you’re in a city quite possibly far from home. Roommates share all of the bills equally and can build lasting friendships at the same time. You can choose to rent an apartment or other housing unit on your own if you wish. Do keep in mind that sometimes it is hard to find housing on your own in Germany. If you do manage to find an apartment, the rental costs average €300 to €600 per month. Don’t forget to add in other necessary expenses to this figure as well, including utilities, telephone, food, etc. On-site housing is available at many different Munich institutions, and for most students, this is always the best and most affordable option. Not only are you within close proximity of all of your classes, the rates for living are much cheaper, too. And, you can surround yourself with other students attending the university and make friends and help each other as you go along. Long-term hotels are also an option for housing in Munich. If you find it difficult to obtain housing upon arrival in the city this may be an option for you to look into. Long-term hotels offer studio apartments, which make it feel like home. They’re much more accommodating than a regular hotel room, with kitchenettes and living/sleeping areas available. Now, keep in mind the costs of these hotels are usually a considerable amount more than a regular rent amount, although that rate includes utilities, Internet, phone, etc. The best things about these hotels are that they offer everything that you need in just one package. There is no worrying about paying separate bills. One payment covers it all and you are ready to move on. It is a good idea to start looking at the available housing options before you leave your home country. As we have already mentioned, it can be difficult to obtain housing and you do not want to arrive with nowhere to live. You will also want to compare the various options that are available to you. With the Internet available this is something that you will find easy to do. 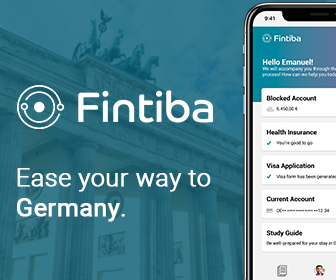 It takes just a short amount of time and can provide you with so much invaluable information that will secure your housing while in Munich. Do not take any chances when it comes to your place to live! Do not be afraid to make phone calls to find your housing as well. Keep in mind that when you get housing you can always switch to something else if it comes along for you later on. The three town gates: Karls, Sendlinger and Isar – dating back to the 14th century. Spaetzle – the Bavarian version of the ‘noodle’, but beware: do not say ‘noodle’. Regarding nightlife, there are many lovely clubs and bars for you to have tons of fun in. A few of the many are: the Kultfabrik, and Optimolwerke. Whereas, the area around Munchener Freiheit in Schwabing is a spot to explore and enjoy different kinds of music, people and views during night-time. The largest authentic beer gardens/breweries in Germany are located in Munich hence world-famous for hosting the Oktoberfest- the annual beer-jollification, gathering millions of visitors from around the world to celebrate for almost a month. During that time, you can also experience Europe’s largest market for fruit, vegetables, animal produce and all things Bavarian! You can always visit other German cities and medieval villages as the public transportation is very precise and affordable. Take advantage of Munich’s easy rail travel and visit metropolitan cities in Austria, Switzerland, France and Italy. Being without your own personal vehicle can be quite a headache, but chances are good this is the situation you will find yourself in when you are coming to Munich from international territories. Luckily there isn’t a reason to worry, as there are so many different ways that you can get around in Munich. The underground system is the most commonly used way to get around. It is so easy and it is very convenient; available whenever you need it and at a very low cost. It is available to take you throughout the city and close to all of the universities that are in the area. You should look into the underground system while you are in Munch. Rental cars are a possibility, and one of the options available. Weekly and monthly rental rates are available, and you can find an assortment of styles, makes and models of vehicles. This can get expensive. Bike hire is available in Munich. Biking to your university, the supermarket and other activities is an excellent way to see more of the city while you get to your destination. Biking is enjoyable and popular among those in the city. It is also quite affordable and certainly convenient. Walking is always an option that you have available to you, although you may want to save this until you’ve familiarized yourself with the city somewhat. 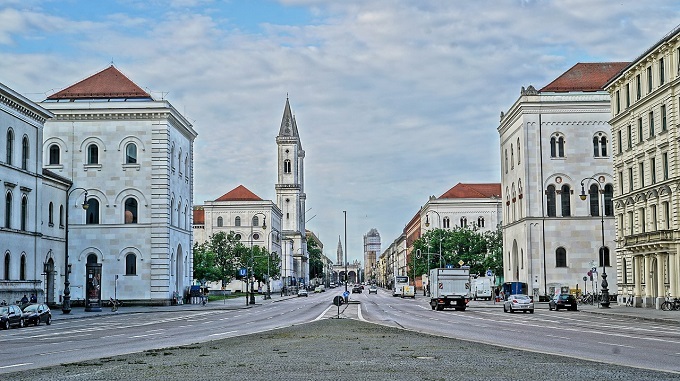 Most things in Munich are situated quite close together, however, this isn’t always the case and getting lost is certainly something that you can do without. Taxi cabs are also available to help you get around in the city, but as with the rental car option, taxis can be very expensive. In fact, they are much more expensive than the rental car option, but they are great for those late night outings and similar quick trips. Taxis charge a per-meter fee that is convenient for short distances. Most students who come to Munich use a variety of the transportation methods to help them get around. This is probably something that you will also want to do as well. The situation that you are in is the best way to determine which transportation option is best suited for the moment. Students in Munich commonly use public transportation. Public transportation options in the city include buses, trains and trams. They run frequently and throughout the city on a daily basis. The prices vary according to which transportation option you choose, however, you can be certain the rate is quite affordable. You may not have come to the city expecting to do anything other than learn your selected courses, earn your degree and go back home; however, this is a city that offers you so very much more. One of those things is the chance to learn German. The German language is a delightful one, and there is nothing more enjoyable than being around those who speak it fluently. You can easily pick up on words as they are being said and will be able to go back home and impress those that you know with your new language. If you are serious about learning German there are also a number of institutions in the area that offer the chance to take courses. The cost of these courses will vary but they are very reasonable. It is possible to attend one of these classes part-time and quickly learn the language of German. Despite what so many people think, German is actually an easy language to learn, especially when you are living among those who speak it fluently and on a full-time basis. When you want to learn a language there is no better place to do it than where the language is spoken. The chance to learn German while you are studying is a reason in itself to study in Germany. We’ve gone through all the German language schools you can find in Munich and listed the top ones you should consider joining. For more information, please visit German language courses in Munich.